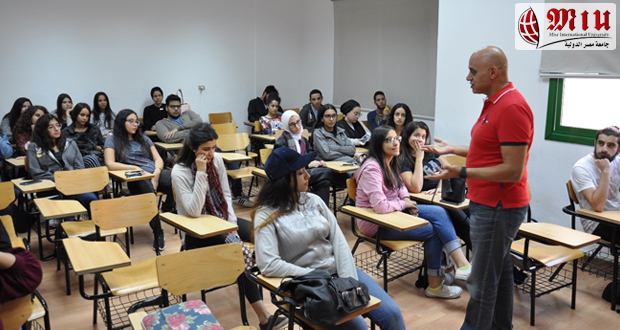 “Design Thinking” That was the title of the lecture organized by the Department of Marketing, Faculty of Business Administration and International Trade. 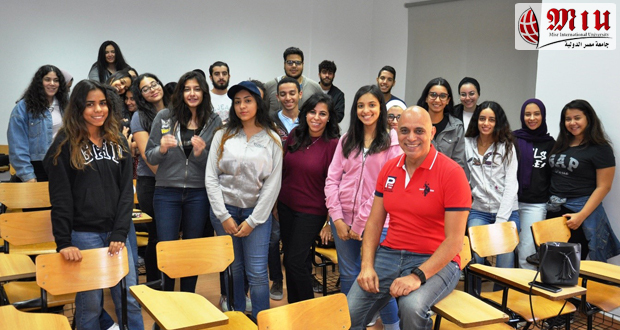 The lecture was given on Monday 12th November, and Tuesday 13th November, 2018 by Dr. Mohamed Radwan, the founder and Managing Director of Platinum Partners, a strategic business development consulting firm. He is also a Corporate Governance Consultant for the International Finance Corporation (IFC) World Bank. 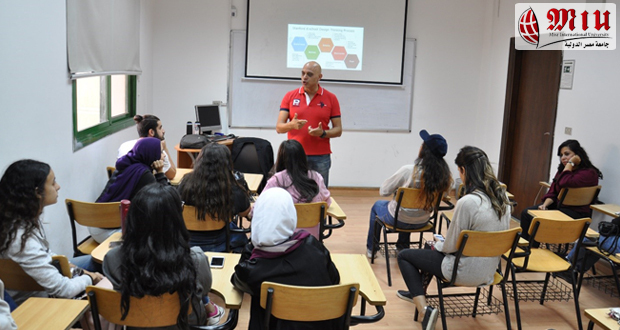 Dr. Mohamed Radwan showed MIU students Stanford design thinking process which consists of five phases: Empathize, Define, Ideate, Prototype, and finally Test.